The only way to break out of the paper bag philosophy is to avoid the narrow and shallow thinking that characterizes it. In other words, we must constantly seek a depth and breadth of knowledge and experience. And few historical figures cause us to stretch our minds more than the abolitionist John Brown. Not to be confused with the (in)famous RI slave trader and Brown University founder of the same name, John Brown led an unsuccessful raid at Harpers Ferry in 1859 to free enslaved African Americans. His failed attempt inspired generations of civil rights leaders, including W.E.B. DuBois, the author of a 1909 biography on Brown that I recently finished reading. It seems the more I learn of Brown, the more my ideas about politics are reshaped. Here is a white man who resorted to violence against the state in order to try and put an end to the state-sanctioned violence of slavery. He defies the type of knee-jerk responses we’re accustomed to hearing in the age of 24-hour news cycle sound bites, which is why I’m starting to realize my initial assessment of him was wrong. 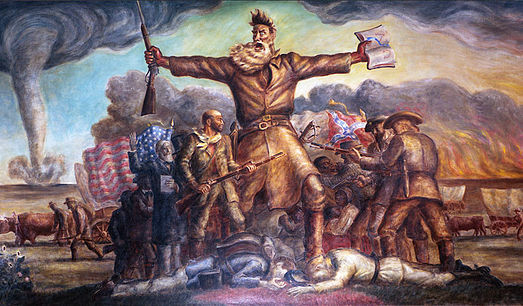 My first impression of John Brown was that he was a terrorist. However the DuBois bio, as well as family vacations to Harpers Ferry and Washington DC, have given me a more nuanced view. Brown actually compares favorably to other national heroes. If using violence against the state to resolve conflict makes a citizen a terrorist, then the founding fathers deserve that title too. But at least Brown was consistent in his actions. Is there anything more hypocritical than signing a declaration of independence that claims “all men are created equal” while owning slaves? Earlier this week, professor and civil rights leader, Dr. Cornel West, called Edward Snowden and Bradley Manning “the John Browns of our day” for blowing the whistle on some serious crimes by the US government. While I don’t agree completely with his analogy, since neither Snowden’s nor Manning’s actions caused any physical harm, it does show how out of whack the system remains to this day… Thanks, in part, to the paper bag philosophy. Political wisdom is never more mono-cultural than when it comes to issues of security. 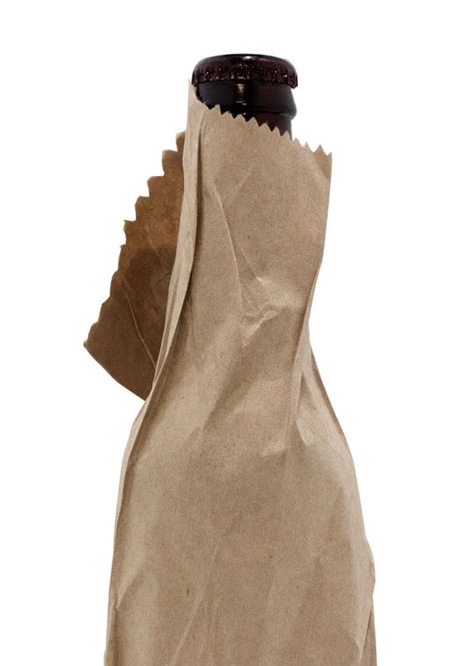 Unfortunately, but predictably, the decisions made inside these tiniest of paper bags to supposedly make us safer have had the opposite effect. Like when tech companies built in back doors to their software so the government (and presumably any hacker) could snoop on the activities of law-abiding citizens. What’s worse is when civic-minded individuals attempt to sound the alarm on these types of misdeeds, they, much like Brown, are treated as terrorists… Allowing the real villains to continue to benefit from their crimes. Want to know what separates the good guys, be they violent or non-violent, from the bad guys? Morality. And the more we stay confined to our paper bags the more we create the false moral ambiguities (e.g. choosing between liberty and safety) that enable the villains to do as they please. As a peace activist who believes in Kingian non-violence, I don’t endorse what Brown did. But he’s no terrorist. Like Snowden and Manning, he is among the most tragic American heroes of his time. Hard problems require thinking outside of the box, getting out of comfort zones, walking a mile in someone’s shoes, and lots of other clichés that I’m too inebriated at the moment to list. But don’t expect politicians to do any of these things (I mean other than maybe getting tipsy on occasion). They, like most of us, are in the bag. The paper bag philosophy is a wrinkle on the notion of group think. Each group member’s paper bag is unique, varying in size according to his or her willingness and ability to understand old concepts and grasp new ones. 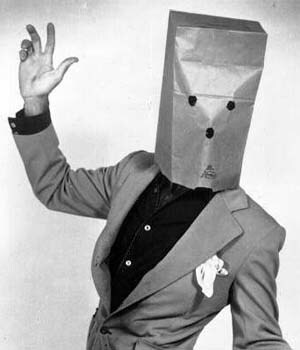 Unfortunately, the combined contents of all group members’ paper bags tend not to span enough of the realm of political thought to result in positive, long-term solutions. It usually doesn’t even matter how educated or experienced group members are. If their paper bags are deep but narrow or wide but shallow, as is typical, a sort of ignorant magnanimity can take hold that is hard to challenge. And, since no two bags are the same, it can be awfully difficult to convince members that they’re falling victim to group think. You are currently browsing the Bristol Bull Raker blog archives for July, 2013.